Self-government by the people was of paramount importance to the Europeans settling in North America. 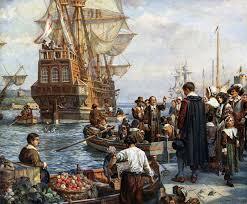 The Pilgrims drafted their own system of self-rule — the Mayflower Compact — before they landed on the new continent. Rough seas and storms prevented the Mayflower from reaching its intended destination in the area of the Hudson River, and the ship was steered instead toward Cape Cod. Because of the change of course, the passengers were no longer within the jurisdiction of the charter granted to them in England by the Virginia Company. Within this legally uncertain situation, friction arose between the English Separatists and the rest of the travelers, with some of the latter threatening to leave the group and settle on their own. The Mayflower Compact was not a constitution but rather an adaptation of a Puritan church covenant to a civil situation. Furthermore, as a provisional instrument adopted solely by the colonists, the document did not solve the matter of their questionable legal rights to the land they settled. (A patent w as eventually obtained from the Council for New England in June 1621.) 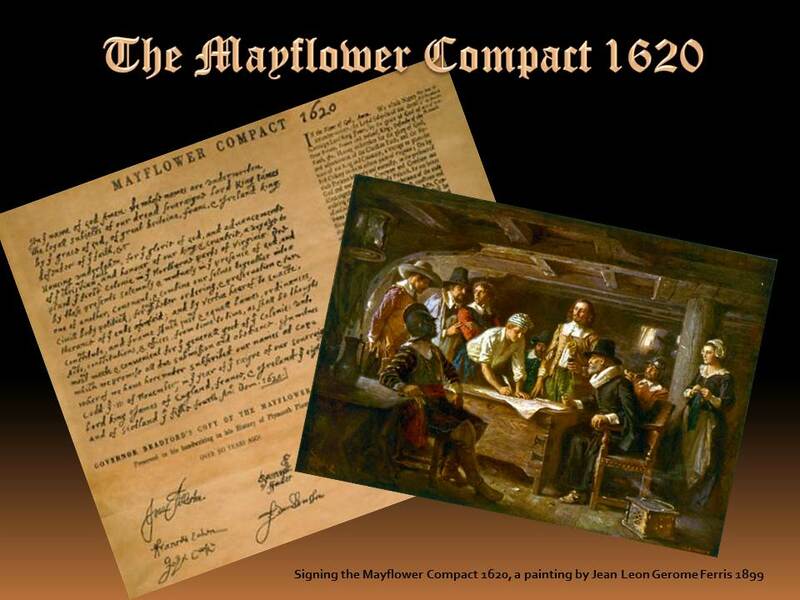 Still, the Mayflower Compact became the foundation of Plymouth’s government and remained in force until the colony was absorbed into the Massachusetts Bay Colony in 1691. Although in practice much of the power in Plymouth was guarded by the Pilgrim founders, the compact, with its fundamental principles of self-government and common consent, has been interpreted as an important step in the evolution of democratic government in America. As the original version of the Mayflower Compact was lost, the oldest known source in which the text of the document (provided below) can be found is an account of Plymouth’s settlement written by Edward Winslow and William Bradford. Painting credits: 1. Pilgrims signing the Mayflower Compact, reproduction of an oil painting, 1932. Original Signing the Mayflower Compact 1620, a painting by Jean Leon Gerome Ferris 1899 2.Pilgrim Fathers boarding the Mayflower, painting by Bernard Gribble.